The Stanford University Postdoctoral Association (SURPAS) is a volunteer organization formed by Stanford University Postdocs.Our mission is to enrich the Postdoctoral experience at Stanford, to enable Postdoctoral Scholars to explore opportunities, and to empower Postdoctoral Scholars to become leaders in areas of their choice. How do I join SURPAS? If you are a doing a postdoc at Stanford, you are already a member! Come to SURPAS events and meet with fellow postdocs, or join a committee to make your voice heard. Our monthly (council) meeting is a great place to start! All Stanford Postdocs are members of SURPAS and can choose to participate as actively as they wish. Our events, programs and advocacy activities are coordinated by a core Leadership Team, supported by a larger SURPAS Council. Additionally, postdocs with specific interests can be involved in one or more of our committees, which greatly extend the programming power of SURPAS. SURPAS Bylaws can be viewed here. Past meeting minutes can be viewed here. SURPAS council is made up of regular postdoc volunteers to organize events and committees. Council meetings are held once a month to raise issues, discuss, and brainstorm together, as well as to socialize and meet with fellow postdoctoral colleagues. Any SURPAS member can attend a council meeting to observe or participate in discussions on agenda items. To join council, a SURPAS member must attend one council meeting and be nominated (you can nominate yourself), and current council members will vote on new members. New council members are initiated at the next council meeting. Council meetings are generally on the last Wednesday of the month, and include a free lunch! Check the events calendar to check on the location of the next meeting. What are the SURPAS committees? Committees are member-run groups that focus on one aspect of postdoc life. Any Stanford postdoc can join a committee. The leadership team is a core group of council members who ensure the smooth-running of SURPAS affairs and progress of the postdoc situation at Stanford and nationwide. We work closely with the rest of the SURPAS Council and Committees, as well as Stanford administration (primarily the Office of Postdoctoral Affairs (OPA), VPGE etc) to make sure the voices and needs of postdocs are well heard and represented. Leadership positions are yearlong. With the exception of the mid-year co-chair, elections are typically in June for a leadership transition in July. The mid-year co-chair is elected in January with a one year term, to ensure continuity in leadership. To run for leadership positions, you must be a council member, which means you must have attended at least one meeting prior to leadership elections. Paola is a postdoc in the department of Developmental Biology and currently works in the lab of Dr Will Talbot. Her research is focused on the development of myelinating glial cells in the central nervous system using zebrafish as model system. Paola is originally from Italy where she earned her master in Biotechnology at the San Raffaele University in Milan. She moved to Buffalo (NY) to pursue her PhD in Biochemistry before moving to the sunny California and begin her postdoc. She believes that postdocs deserve to shape their careers in research while building their personal lives, which is hardly feasible in the Bay Area. Through SURPAS Paola wants to advocate for the affordability crisis in the Stanford postdoc community. 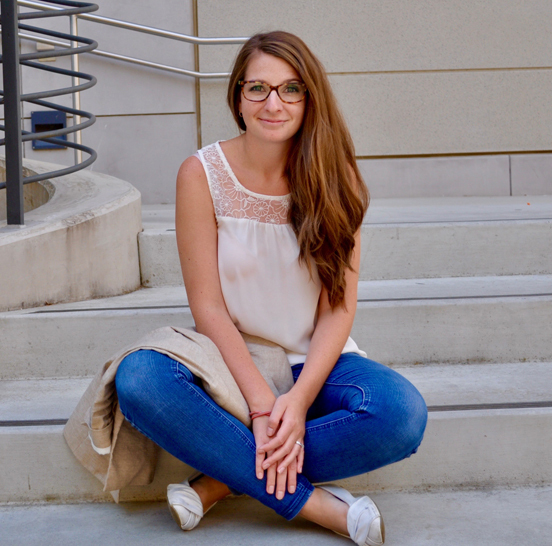 Catherine is currently a postdoc at Priest lab where she is studying the genetic risk of congenital heart diseases and Assimes lab where she is working on the genetic risk of coronary Artery diseases in different populations. She received her Ph.D. from the University of Paris Saclay in France where she studied the role of several polymorphisms, susceptibility genes, and copy number variations in differentiated thyroid cancer among Europeans and Melanesians. Catherine is excited about improving the visibility of postdoc on Stanford Campus, and through social media, as she believes that the more SURPAS is present on social media, the more our voice will be heard in the Scientific community.